We enjoy seeing our clients discover the joy of swimming and improve upon their goals. Most of all, we love hearing from our grateful clients. Below are a few kind words from Beginners, to Triathletes and everyone in-between, as shared with us over the years. "I've been to several so called "triathlon coaches" in Las Vegas, and none of them can teach swimming the way Coach Kara can! Not only have by times improved, but I actually don't hate swimming anymore!" "All I have to say is WOW! I have had the best experience learning to swim again (as an adult) with Coach Kara and the fabulous people on the Swim Las Vegas team. I was so nervous during my first few lessons, but Coach K is so calm and helped me overcome my anxieties by explaining everything clearly and making sure I knew what I should be doing. Highly recommend this great team!" "I didn't really learn how to swim until I was 38 years old. Kara was patient with me and took the time to really show me correct body position, stroke positions, and kicking actions. Now, I am getting faster and have broken personal swim records that I had set for myself. She really is an awesome coach who is serious and at the same time witty. She really knows her stuff and knows how to spot and correct things both physically wrong with swimming techniques and also hidden factors such as stress that a person might be carrying with them that ultimately affects their swimming. Not many coaches can do that.  I highly recommend Swim Las Vegas no matter what level you might be at from beginner to more advanced because everyone can always improve and become better, faster, stronger swimmers!" "Coach Kara is so patient and has great teaching skills. I am very happy and amazed at my progress, and it's all due to you!" "At age 30, I'm embarrassed to say that I didn't know how to swim. Some friends were planning a trip to the Caribbean, and knowing there would be a lot of water, I decided to take lessons with Coach Kara. I was so nervous before my first session that I arrived an hour ahead of time but forgot my swim bag. At first, I couldn't leave the edge without total fear and panic setting in. But because Coach is warm and understanding, she pushed me to let go of my anxiety without freaking me out (like other swim instructors have!) I have successfully learned to swim and had a great time on vacation. After vacation, I signed up for more swim classes because I was learning so much. " "Bottom line…Kara is an excellent swim coach. In the short span of six months, Kara’s coaching has dramatically improved my swimming technique and my triathlon swim times. Before her coaching, I would hope to get through the swim so I could get onto the bike and run, but now I look forward to the swim as much as anything because I know I can be competitive. I’m thrilled with the results so far and equally excited about the possibilities for the future." "I wanted to send you a quick note to say thank you. This past summer I joined your group to help me prepare for a one mile ocean swim I was doing as part of a fundraiser for the Challenged Athletes Foundation. I trained in a pool all last spring and felt I was conditioned for the race. It was not until I attempted my first open water swim at Lake Mead that I realized I had some more training to do - mental training! I freaked on that first open water swim (and multiple others that followed) - then I met you and Swim Las Vegas. You taught me how to Stay Calm and Swim On! I was very surprised at quickly you were able to get me comfortable considering my mental starting point. On race day the water was 56 degrees and thankfully at high tide (the kelp was more stretched and less clumpy at high tide). The swim was in San Diego at La Jolla Cove. There are many seals that line the rocks around the cove. When the first wave of 100 entered the water some seals jumped in to join them. By the time the 4th wave (my wave) was in the water so were most of the seals. I was too cold to notice much else until the last 300 yards or so. As I took a stroke a seal surfaced about 10-15 feet from me, swam about 3 strokes side-by-side with me, then barked and dove under and disappeared. A few months ago that would have rattled me pretty good but from your classes I was able to enjoy it for what it was and finished feeling really good about the race. Thank you for everything - I doubt I would have made it without Swim Las Vegas and its members for support. I really enjoyed the whole experience." "First of all I want to tell you, we had such a great time Saturday in the lake. We felt we were in the presence of Rock Stars! You and your staff are not only knowledgeable, but your kindness and helpful ways really go a long way to encourage us. It also reminds us it's not just about competing but about making you a better person and then passing it on to others. You guys are great! Thanks for everything you do"
"For my 65th birthday I swam from the Cove to the Shores with some friends on Saturday. A year ago I could have never imagined doing this. Your training, physical and mental, made this easy for me. Physically it was no big deal. Mentally I had no questions. Now, is there something you can do about raising the water temperature?" "Just a little over a year ago, finishing a triathlon, let alone finding the podium seemed like an impossible dream, due to the fact that I had NO IDEA how to swim. One year later, after hours of patient instruction, sweat, and even a few tears (no blood, thank goodness).....and a lot of good times and fun also, I've completed five sprint triathlons with an AG second and an AG third in the books. Thank you so much Kara Miller and Paul Fritz - it would never have happened without you. (and yeah, yeah, I know - I need to move up to olympic or half now!!) Love to all my SLV peeps!! :)"
"If there is any doubt that Paul Fritz and Kara Miller are GREAT coaches, you have not worked out with them yet. I have participated in the Swim Las Vegas swim program for 1 year. In June 2010, my 2.4 mile swim time was 1:42:00. Last weekend, I finished the 2.4 mile swim leg in 1:17:00. That is 100% a result of the stroke coaching! Thank you coach Paul and coach Kara!" "I just wanted to say thank you for all your help and training this season. I started doing triathlons this year. It was only 400 yards and I had done that with ease in the pool. However on race day I thought I was going to die. I barely completed the swim portion with a time of 11:37 and was exhausted. I signed up for the FAST class offered by swim las vegas. I had open water practice on saturday at Lake Mead with Coach Kara and Paul. The class was great. I gained the strength and confidence to swim in open water all because of the coaches sessions. In fact,only four months later from my first triathlon, I completed the "Slam the Dam"on October 1, 2011, 2.4mile swim (no wetsuit) in 1hour 26 mintues. I could have never done this without swim las vegas. Thank you for all your help. I would tell anyone wanting to complete a open water swim that the FAST class is a must and worth every penny." "Since I took your swim lessons and all of the workouts at the lake, my swim times have dropped dramatically! Just recently, I had my PR at Vineman 70.3. My best 1.2 mile swim was between 37-38 minutes. I swam 32:40 just last Sun! Thank you all for honing my technique and pushing me to the limits! I plan to the do the 4.8 mile swim challenge in Venice, CA coming up in Aug and Slam the Dam as well! You two ROCK!!!" "Kara and Paul have created a phenomenal training experience, which works for every level of athlete from the elite to the beginner. They focus on swimming for triathlons and it works, they simply 'get it'. Thank you Paul and Kara for helping me realize my dream." "I'm at a triathlon training camp near San Diego with professional triathletes Jessi Stensland, John Hirsch, Rich Roll and Coach Brett Blanker from Zentri podcast. They were very impressed with my swim stroke! Thanks to Paul, Kara & Swim Las Vegas!" "Big Thank You to SLV, Kara and Paul. I had a better-than-expected swim. You really challenge us and it always pays off. And..thanks for the support." "I couldn't have done it (Silverman Triathlon) without SLV. The open water swims really paid off. I took it slow and steady and actually came out smiling." I thought I could swim. But then I signed up for my first sprint triathlon. I set a goal of swimming 20 lengths nonstop and often had to stop after only 16, winded and exhausted! I learned about Swim Las Vegas by looking for swimming lessons. I signed up and listened and learned. Soon, 16 lengths was just the warm up. I finished my first triathlon in 22 minutes. I kept swimming with SLV and completed my next triathlon swim in 15 minutes, this time without a wetsuit! I also competed in Slam The Dam Open Water Swim and surprised myself at what I had learned through good technique and training. I could not have been as prepared and as confident without Swim Las Vegas. Thank you, Thank You, THANK YOU! When I entered into Swim Las Vegas I had never swam in an open water competition and my swimming stroke resembled that of a helicopter on drugs. The Swim Las Vegas coaches worked diligently with me to make improvements on my technique. They taught me to slow down and really use my arms to glide through the water. During the open water swimming practices, the Swim Las Vegas taught me everything from sighting to tricks on how to use a wetsuit. Not only were the coaches excellent, but I had a wonderful time with other swimmers. Everyone was so positive and supportive. I started training 4 weeks before the Pumpkinman event and my swim time was 27 minutes. No way could I have done that on my own! "I couldn't have done it any better!! For the swim part of the Pumpkinman Triathlon I came in almost seven minutes earlier then my last race; I couldn’t believe!! I started with Swim Las Vegas in March 2010 and could barely make it to other side of the pool; without taking a break. And now I am swimming with skill and confidence. You guys are wonderful- thank you for believing in me and seeing my potential." "Thanks for a great class. I improved so much. Even from the LV Triathlon, where I swam the 750m in just over 23 minutes to Pumpkinman Triathlon where I did the same 750m in just over 14 minutes. That's over a full minute per hundred improvement in just the last 4 weeks! Thanks again for the great instruction and pushing us to do better." "I finished my first triathlon yesterday and I would say it was successful! I finished 12 out of 26 and had the third fastest bike time for my age group. I was very happy. Plus, I had no problems with the swim thanks to you guys and the clinic. My plan was too stay relaxed and get in a rhythm. I saw some other people from our open water clinics and they all looked great too!" "Before I started with Swim Las Vegas, I could not swim! Words fail to describe how bad a swimmer I was. And how much I've improved! If you watch the before video and the video taken three years later, it speaks for itself. And I'm still learning! The Swim Las Vegas program is comprehensive, and emphasizes reworking and refining your technique in the pool while building long-term endurance in the open water. With my lack of experience, preparing for triathlon distances was quite intimidating. But I persisted and trained as often as I could—sometimes 3 or 4 times a week. If you put in the time, trust the workouts, learn to relax and be patient, great results will come! As of the Slam The Dam Open Water Swim, I finished my first 2.4 mile swim in 1:42:56!" "I just wanted to thank Kara and Paul for another great program (Rage 2010) with Swim Las Vegas. I looked up my official results this morning and I beat my time from last year by 6 minutes, 26 seconds. Doing your homework each week certainly pays off. Thanks again!" "Because of you good folks, I was able to complete my very first triathlon-Rage!! Your knowledge, expertise, and patience gave me the confidence I needed to finish the swim. You helped me in my personal goal of completing a tri before my 45th birthday. Your tough love and words of encouragement rang in my head while I was swimming. You never gave up on me so I couldn't give up on you. Please continue to coach and do you you both do, for there are so many people who need YOU." "This swim clinic has been an awesome experience for me. I have been a swimmer since high school and always knew my stroke was inefficient. Working on specific drills has really helped me fine-tune my stroke. I feel like I am working with the water instead of muscling my way through it. I only wish I had done this many years ago. It's a great program for swimmers of all ages and all levels of ability." "I never thought I would be able to swim that much!" "Thank you for all your help in preparing me for Pumpkinman. My swim was my strongest portion of the race. It probably was my weakest 9 wks ago. Thanks again. Without your guidance I am not sure where I would have ended up!" "I want to tell you how appreciative I am with the way you taught your 9 week course. I learned a lot and have started to see good improvements in my swimming.I would highly recommend your class to anyone and as I coach triathletes in the future will for sure send them your way. Thanks again for a great class!" My swimming has definitely improved this year. You guys pushed me to swim further than I ever imagined (in the pool AND the lake). Looking forward to next season. "My experience with Swim Las Vegas has been amazing! Everything they taught me during the stroke improvement clinic immediately improved my swimming. I have never felt so confident in the water. In addition to the fabulous indoor instruction, Swim Las Vegas' open water clinic is a MUST! It was truly a lifesaver for me! "